Generally speaking, our closest living relatives Chimpanzees, who are 99% genetically alike humans, and whose digestive and immune systems are nearly identical, consume approximately 75% of their caloric intake in Carbohydrates. Chimps in the wild, eating their natural diet never become overweight or obese, and most importantly are not littered with Heart Attacks, Cancers, Strokes, Diabetes, Alzhiemers and all the hundreds of other illnesses and diseases affecting humans today. Most modern diets would like us to believe that carbs are the bad guys. So why the high cards in The Chimp Diet? Because carbohydrates provide most of the energy needed in our daily lives, both for normal body functions (such as heartbeat, breathing, digestion, and brain activity) and for exercise (like walking, running, biking, working out, etc.). An ample supply of carbohydrates are absolutely necessary to sustain a healthy existence. They can be found in Fruits and Vegetables. Dairy has very little carbohydrates and Meat has almost none. Carbohydrates should make up approximately 75% of our diet, with Fats (20%) and Protein (5%) making up the remainder of our calories. When we eat carbohydrates, they are broken down by the body into the simplest of building blocks called glucose. This is what the cells in our body use for all our basic life processes that require energy. Ideally, our blood glucose levels should remain stable throughout the day. Stabilizing blood sugar is a crucial part of optimizing our organ functions and maintaining good health. 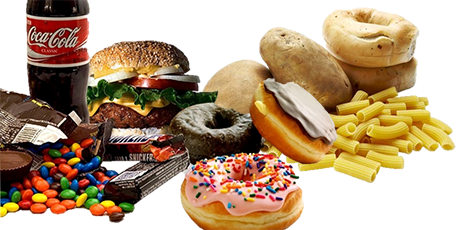 Simple carbohydrates consist of: Bread, Pasta, Rice, Candy, Doughnuts, Cakes, Alcohol, High Fructose Corn Syrup, Sugar Cane, Honey, Maple Syrup, etc. They are digested in the stomach and enter the bloodstream quickly. Quick digestion causes insulin spikes and burn quickly leading to greater consumption of the same. 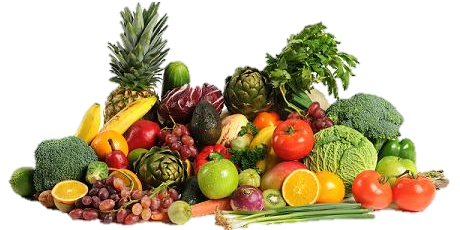 Complex carbohydrates occur naturally in various Fruits and Vegetables, such as bananas, apples, strawberries, and asparagus. Complex carbs are low in calories and take longer to digest. They are digested in the small intestines and enter the bloodstream very slowly. The slow-burning properties of complex carbs provide a sustained source of fuel, which keeps you fuller longer. Carbohydrates are broken-down, by our stomachs and intestines, into Glucose which is absorbed directly into our blood for our cells to use as energy. Blood Glucose stimulates the Pancreas to release Insulin that allows our cells to absorb the Glucose and removes excess Glucose from our blood, which would be otherwise toxic. When blood glucose levels become low, the body uses stored glucose (fat) for energy. When you eat the wrong carbohydrates, which quickly enter the bloodstream and severely raise your blood glucose levels many negative things happen. Plant-based carbs also come with an added bonus of fiber, which regulates your blood sugar levels, can lower blood cholesterol, and leaves you feeling fuller longer. You can’t judge a carbohydrate without considering its fiber content. Fiber slows down the absorption of nutrients eaten at the same meal, including carbohydrates. This slowing down helps prevent peaks and valleys in your blood sugar levels. Simple carbs have none, complex lots. Fiber is only found in plant-based foods such as Fruits, Berries, Veggies, Nuts and Seeds.